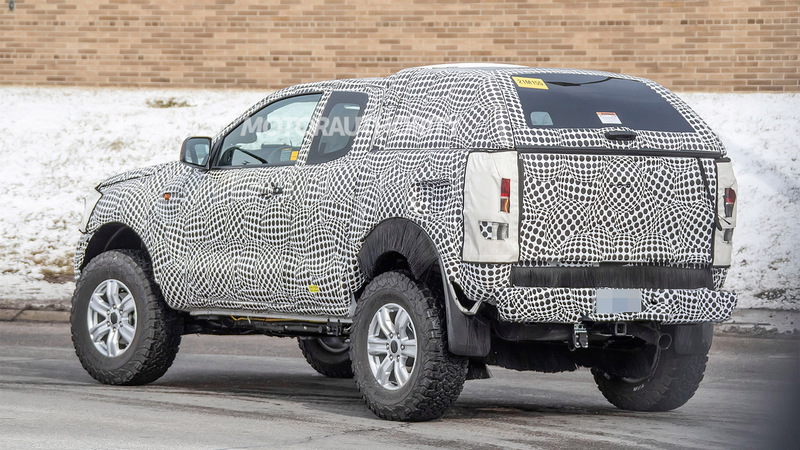 A prototype for the 2021 Bronco was reportedly shown to Ford's top-selling dealers in February at a closed-door event in Palm Beach, Florida, according to Automotive News (sub required). Ford confiscated attendees' cellphones during the event to prevent them from taking photos, but dealers in attendance later revealed that the prototype was the two-door model and that a four-door Bronco is in the works. Ford is said to have designed the Bronco to have a removable hard top and doors that can be stored in its cargo area. 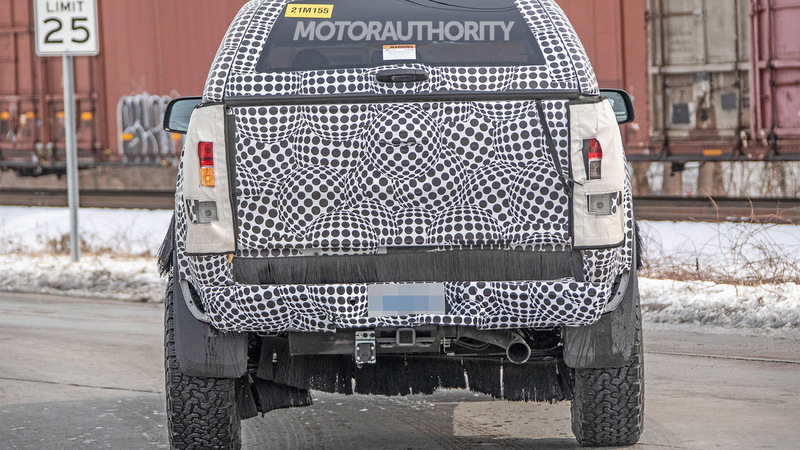 Unlike the Jeep Wrangler, the Bronco's mirrors are reportedly attached to the A-pillars so they remain attached and usable when the doors are removed. Attendees characterized the designed as decidedly retro with a rectangular grille, round headlights, and "Bronco" stamped across the front. 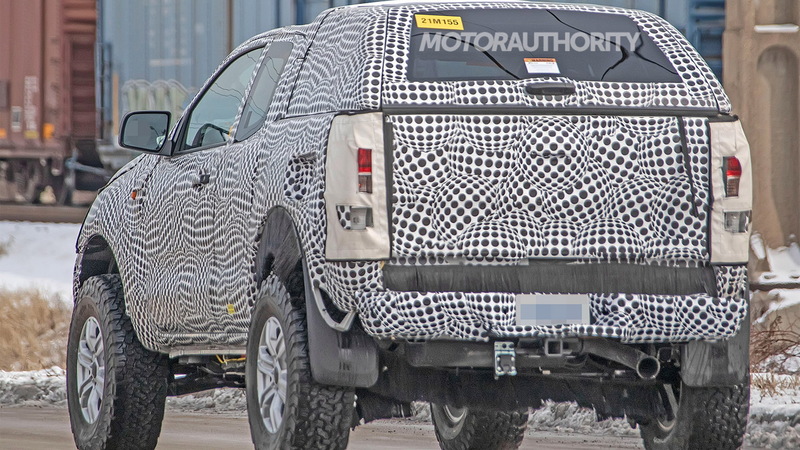 Ford teased the Bronco's shape last year. Curves need not apply. 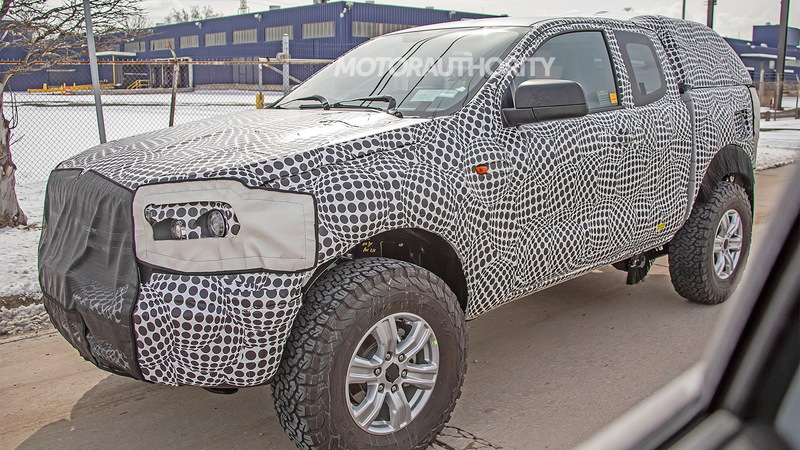 The Bronco's powertrain hasn't been confirmed, but it's expected to offer a lineup of turbocharged engines, a 10-speed automatic transmission. A hybrid option will also be available. Ford said the 2021 Bronco will debut in 2020 and spokesman Mike Levine has confirmed that timeline is still accurate. The automaker also showed dealers on hand a smaller, production-bound off-road SUV that many have referred to as the "Baby Bronco" along with the all-electric Mustang-inspired performance SUV. Set to be built in Ford's Flat Rock assembly plant in Michigan, the all-electric crossover SUV is said to have 300 miles of range, ride on a new platform, and feature a Mustang-inspired design. 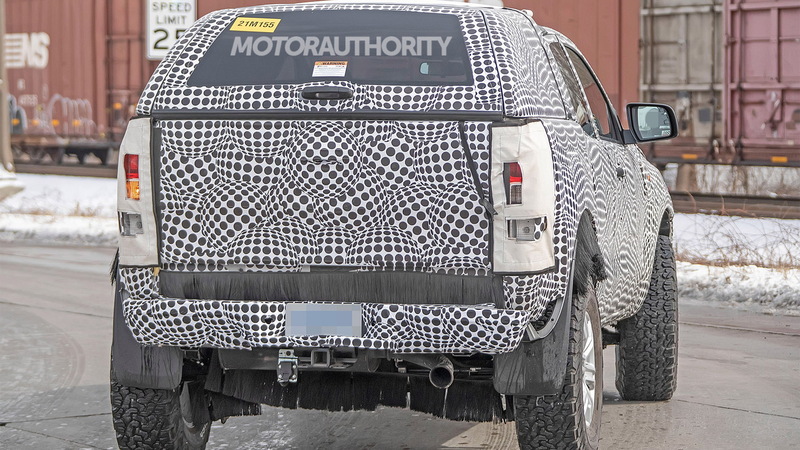 A teaser image revealed Mustang-like three-bar taillights. Dealers were also reportedly told a small unibody pickup truck will join the lineup of trucks and SUVs.